The last two months were expensive for the 500 wealthiest people on the planet. 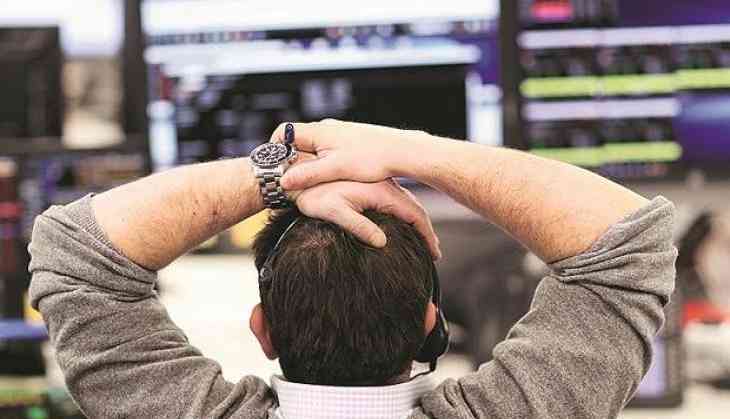 This week the combined net worth fell $181 billion as the S&P 500 Index and Dow Jones Industrial Average suffered their steepest weekly drop in more than two years amid heated rhetoric over tariffs and retaliation. Since markets peaked on January 26, the group's wealth shrunk to $436 billion. 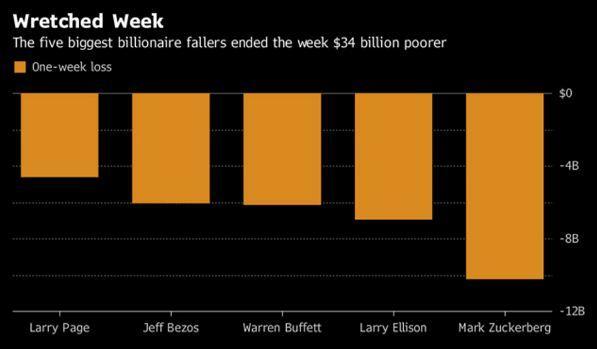 Mark Zuckerberg bore the brunt this week with $10.3 billion wiped from his fortune on the Bloomberg Billionaires Index. After the Facebook Inc. scandal unfolded, he slipped to three places to seventh on the ranking. Facebook's shares tumbled 14% following reports that it let Cambridge Analytica amass data on 50 million users. The downdraft also caught Larry Ellison, down $7 billion as Oracle Corp. forecast slowing sales growth for cloud-related products. Berkshire Hathaway’s Warren Buffett, Amazon’s Jeff Bezos and Alphabet’s Larry Page lost $17 billion combined. According to the index, the world’s 500 biggest fortunes now encompass $5.2 trillion.